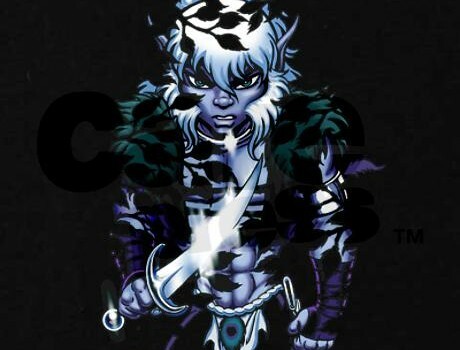 Cutter embodies the best qualities of his parents: fierce, impulsive Bearclaw and thoughtful, wise Joyleaf. He had a carefree youth, frolicking in the forest with his childhood lovemate Nightfall and tagging along behind his older friend Skywise. Together they had many adventures, sometimes getting into trouble with wild predators or even trolls, but always coming out none the worse for wear…that is, until a tribe of superstitious humans set up camp near the Holt. Cutter’s first encounter with the five-fingers ended in a brutal attack that left him near death. That experience taught him caution and sowed the seed of a deep mistrust of humans shared by the rest of his tribe. Those feelings only deepened when the humans tortured and almost murdered Redlance and ultimately burned the Wolfriders from their forest home. Miraculously, none of this diminished Cutter’s innate gift to see beyond the here and now which allowed him, over time, to overcome his prejudices and eventually to even reach out to humans as friends or allies. For Cutter, humans aren’t all good or all bad, they just are. His refusal to succumb to blind prejudice, no matter how well-justified, has helped his entire tribe evolve beyond their black-and-white hatred of all humans to the point that the Wolfriders have welcomed several humans into their tribe. 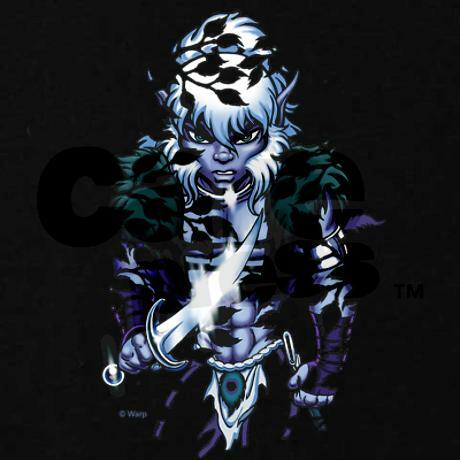 Cutter was thrust early into the chieftainship of the Wolfriders as a teenager, after the monster Madcoil killed his parents and decimated the tribe. As a young chief, he was idealistic, curious, creative and willing to try new things. 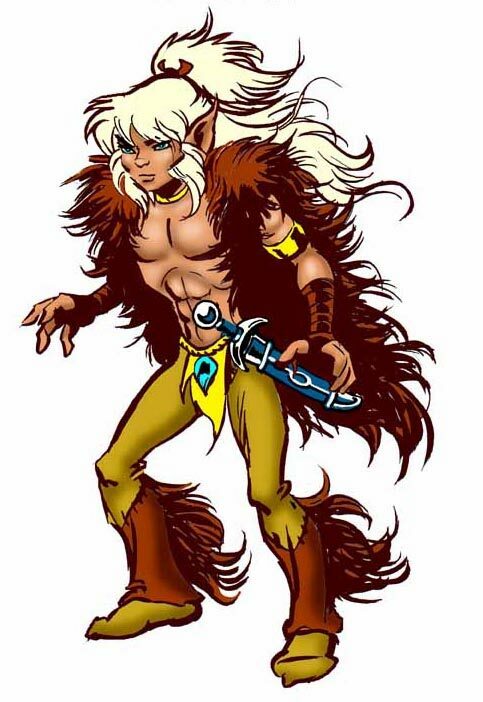 His imagination and visionary ability not only to accept change but take advantage of it—whether allying with trolls, integrating his tribe into new cultures or accepting humans—sets him well apart from any other Wolfrider chieftain before him. His choices aren’t always immediately accepted by his more traditional tribesmates, and his temper can be quick to flare, but Cutter’s willingness to adapt has ultimately made the Wolfriders more resilient. In his maturity, Cutter is confident, decisive and a bit more conservative than he was in his youth. His chosen path is to live by the Wolfrider’s traditional Way, but he accepts there are other equally valid ways of living. In their youth, Cutter and Skywise experienced a kind of Recognition, finding each others’ soul names. Far deeper than friendship, their soul-brother bond is unique among the elves. Cutter’s heart is equally bound to his Recognized lifemate Leetah and their twins Sunstream and Ember. Though he relates a bit more to his wolfish daughter Ember, he loves his enigmatic son just as much. These four are the source of his strength. So, when his family was kidnapped into the future by his arch rival Rayek, Cutter spent hundreds of years in a half-alive state of grief before he allowed himself to be cocooned in wrapstuff to await their return thousands of years later. It was an agony he almost didn’t survive, and would not have but for the love and support of his second family, Nightfall and Redlance. That trauma also crippled something inside Cutter. He is now a Wolfrider who can no longer fully lose himself in the Now of Wolf Thought. Unlike others of his near-immortal tribe, he now feels the passage of time and is acutely aware of its ravages. Still, after he was reunited with his family and confronted Rayek in a brutal reckoning, he has achieved a measure of healing. Cutter uses his new perspective to avoid making past mistakes and anticipate the future to help his tribe navigate an increasingly complicated and dangerous world.